Being on the road for the past year and a half we are constantly trying to stretch our budget. 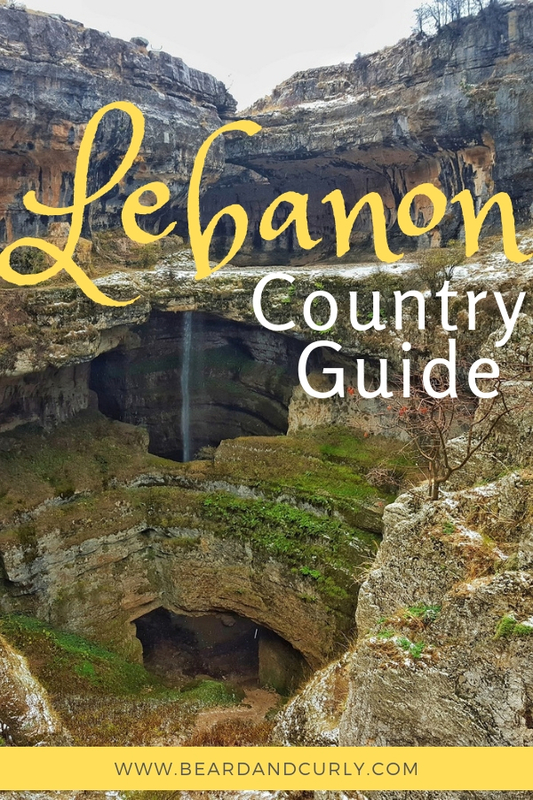 When we booked our trip to Lebanon we were surprised by how expensive it is to visit. Before having buyer’s remorse of a flight to Lebanon, we contacted a friend me met while traveling. With accommodation and food similarly priced to Europe, we were very lucky to have a friend living in Beirut who offered us a place to stay (thanks Adina!). With sights no more than two hours drive from Beirut, it makes for a perfect place to take day trips from. Luckily renting a car in Lebanon is fairly cheap. We decided it would be nice to have the freedom to visit the places we wanted to on our own time. What we did not know before booking a car, was the level of craziness that is driving in Lebanon. We thought Egypt has the craziest drivers, well we were sadly mistaken. Lebanon takes the cake! Three lane highways become six. Lanes are just painted lines to purposely be ignored, even without traffic. Turn signals are ignored. Merging is done at any time, at any place. We even saw multiple cars driving the wrong way on highways, driving on the shoulder for 2 KM just to avoid driving to the nearest roundabout. These norms of driving in Lebanon took us some time to get used to and serious hypervigilance. Once we settled in and overcame our fear of an accident every fifteen seconds, we spent a lovely six days exploring this beautiful nation. Lebanon surprised us in many ways. The hospitality was incredible. The countryside looked more like the Swiss Alps than typical surroundings in the Middle East. Food was delicious and had a modern flare. There was snow, yes snow! While the beaches did not impress us, the coastal cities had a rich and interesting history. Beirut weekends are filled with heavy dosages of alcohol, dancing, meeting strangers, and eating someone else’s birthday cake. There are even some decent wineries in Lebanon. While six days is short, we got a heavy dose of Lebanon, and we loved every single bit of it. U.S. and E.U. residents can get a visa on arrival, along with the Gulf countries in the Middle East and Malaysia. Other countries need to refer to their embassy requirements. According to the Lebanese officials, “Israeli citizens or any other person who holds any passport bearing stamps, visas, or seals issued by Israel are strictly prohibited from entry to the Republic of Lebanon and may be subject to arrest or detention for further inspection.” There is a strict no entrance policy and the customs agents may ask questions on arrival if you have been to Israel, even if you have no proof of stamps. Yana was asked outright by an officer if she had ever visited Israel. 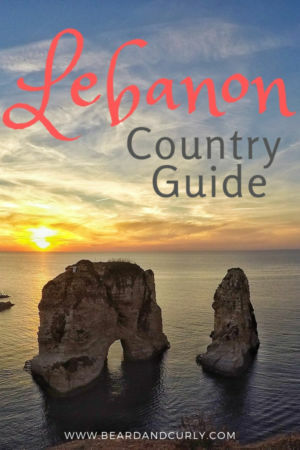 The best time to visit Lebanon is between April and June or between October and December. The summer months are very hot in Lebanon and the winter months get very cold. 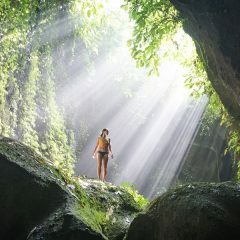 Spring and early summer is good weather and an enjoyable time to sightsee. By June, it is good beach weather, but not too hot that it is unbearable. During the summer, temperatures reach over 100° Fahrenheit (40°C). Arabic is the national language of Lebanon. Nearly 20% of the population speak French. There is also a large population of Armenians who speak their native language. In the cities, most speak English, however, once you leave to the countryside, it is not commonly spoken. Lebanese culture is a mixture of Middle Eastern traditions with a Mediterranean flare, and some French influence. With a mixture of religions (50% are Christian or Greek Orthodox) and backgrounds, Lebanon has its own culture unique to the Middle East. In Beirut, the nightlife is especially boundless, as one of the liveliest cities on the Mediterranean. Lebanese cuisine and social gatherings are an important part of the culture and daily life in Lebanon. The Lebanese Pound is the national currency. The pound is pegged to the USD at 1,507 LBP. Costs in Lebanon are higher than most of the Middle East and parts of the Mediterranean. Many costs, especially in Beirut, and similar to those in Western Europe and the United States. For those on a budget, expect a daily budget of $75 USD. This should cover the cost of a budget room in Beirut, eating local street food, visiting a tourist site or two each day (with a driver or car rental taken into account), and a few drinks out in Beirut. 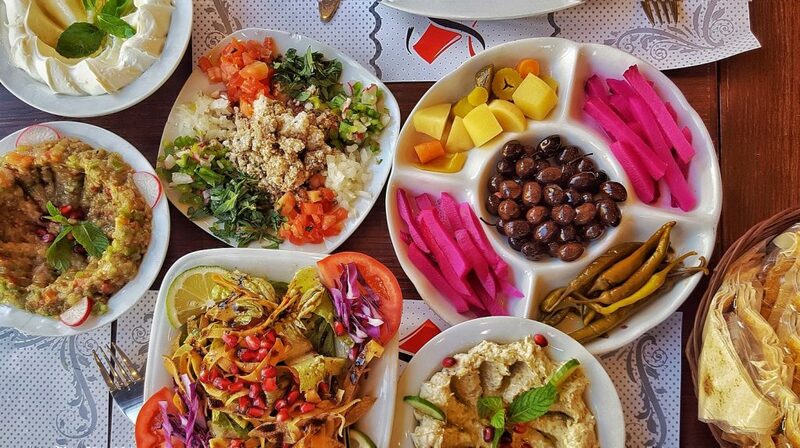 Lebanese food is some of the best food in the Middle East. They have many traditional dishes such as tabboule, fattouch, labneh, hummus, mutabbal, dolmas, and baba ghanouj. It is often that Lebanese add lemon, pomegranite, or other nice additions to these traditional dishes. Lebanese is excellent cuisine for vegetarians. Meat eaters can still get there fix with an assortment of grilled kebabs, kibbeh, kafta, and shish taouk. In addition to the excellent spices and flavors of Lebanese food, there is an abundance of great Armenian restaurants, especially in Beirut. Street food in Lebanon costs around $4 – $6 USD per person. Eating in a basic restaurant will cost between $15 – $25 per person. Arriving into Beirut International Airport is the most common entry point to Lebanon. The only way to get from the Airport to the city center is by car or taxi. Taxis will cost between $20 and $30 USD into Beirut. There is only public buses inner city (http://lebanontransit.org/). While there are several highways in Lebanon, roads in the rural countryside are in very poor condition. This was a result from the Lebanon Civil War between 1975 and 1990 and the 2006 Lebanon War with Israel. While there are some buses that run up the coast between Beirut and Tripoli, most of the inner country is inaccessible by public transportation. It is possible to hire taxi drivers for the day at around $70 USD. Renting a car is an option in Lebanon and comes with a cost of around $20 USD per day. However, Lebanon (especially Beirut) is one of the craziest places to drive. It is not advised to drive in Lebanon unless you are a very confident driver. Even so, you have a high risk of getting into an accident. Drivers disregard all traffic laws, and are very aggressive, making it dangerous to drive in Lebanon. Accommodation in Lebanon is expensive. Budget backpacker options at small and basic guesthouses start from $30 USD per night. Costs slightly go down in Baalbek and Tripoli. 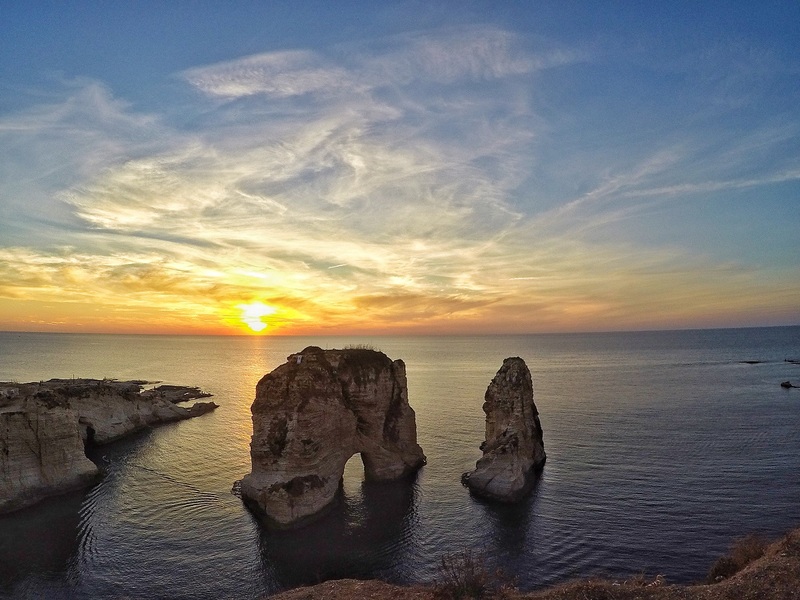 Due to the size of Lebanon, everything can be visited as a day trip from Beirut. It is best to stay in Beirut and make day trips to all the popular destinations. Budget: The best place to stay on a budget is the Talal Hotel. Dorm beds in a 3-bed dorm is $15 USD per person or a double room costs $36 USD. Mid-Range: For a good value, The Standard II – By Beirut Homes has one-bedroom apartments with a kitchenette for $80 USD. High-End: Stay at the Four Seasons Hotel Beirut with a double room starting from $300 USD. Safety in Lebanon is something that is concerning and should be monitored before planning a trip to Lebanon. There are several fragile situations such as the constant tension with Israel, the Syrian refugee crisis, and the latest developments of ISIL presence in border towns. Lebanon has a poor reputation for safety due to a long civil war (1975 to 1990) and some recent wars with Israel (2006). While there is an enormous military presence, including Hezbollah military units, there continue to be terror attacks throughout the country. However, most tourist sites along the coast are still considered safe to visit. Avoid the Syria border as there has been a clear spillover of the civil war to towns along the border. With all that said, we felt moderately safe during our time in Lebanon. Beirut is a modern city and major economic and financial center in the region. 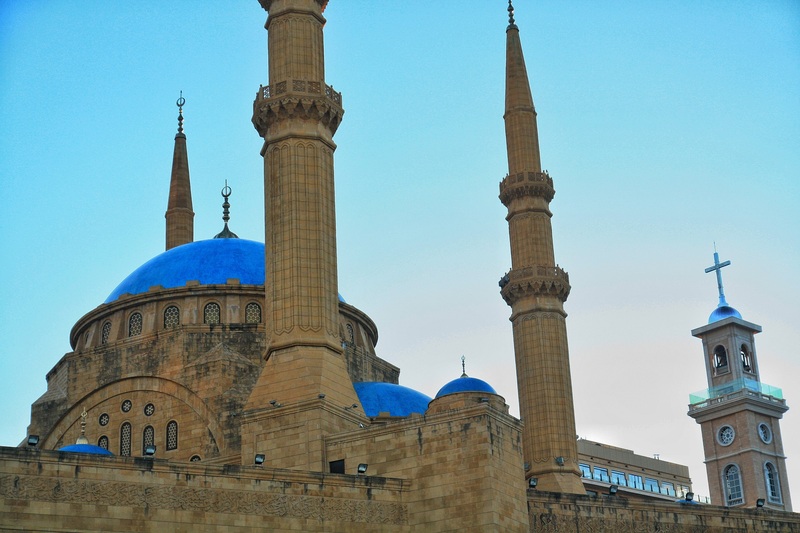 Within Beirut city, there are many activities and sights to see such as the Mohammed Al Amin Mosque, Beirut Souks, Roman Baths, Government Palace, Hamra street, Sursock Museum and Palace, and the Saint Nicholas stairs (escalier del arte). Don’t miss a stroll on the corniche to Pigeon Rocks for sunset. Follow it up with a meal on one of the many excellent dining options in the city. Some favorites are Falafel Sahyoun, Ichkhanian Bakery, and a traditional Armenian meal at Onno. Finish the evening partying it up on Armenia Street. The south coast of Lebanon is beautiful with two great coastal cities. Saida has one of the best traditional souks in Lebanon, directly across from the Saida Sea Castle. Near the souk is one of the best falafel sandwiches in the world at Falafel Abou Rami. Don’t miss a stop at Khan al-Franj before heading down the coast to Tyre (Sour). If the weather is good, head to the beach, one of Lebanon’s best. 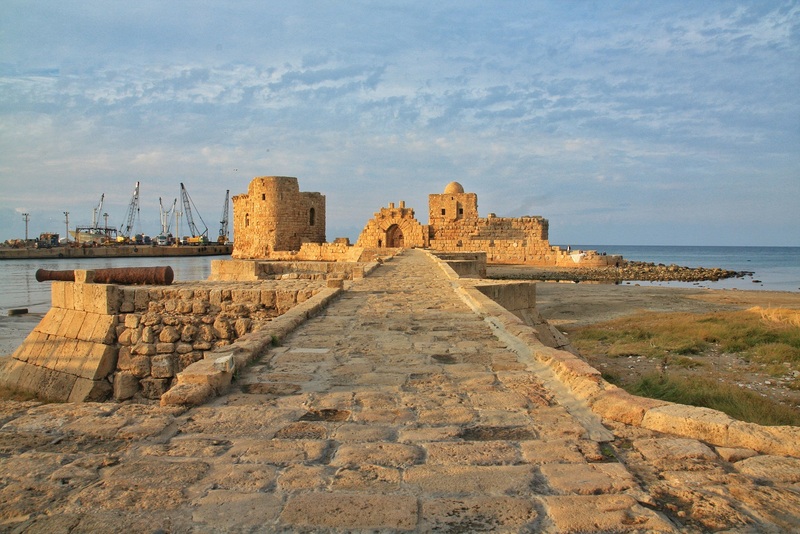 There are several ruins in Tyre for history buffs. Our favorite was walking through the old town, starting from the lighthouse. We walked through the small streets and alleyways in the Christian neighborhood back to the souk and port of Tyre. The north coast has some of the best sites in Lebanon. 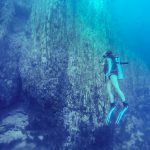 Not far from Beirut and just off the coast heading into the countryside is the Jeita Grotto. 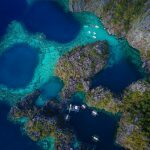 This stunning grotto tour comes with a unique boat ride taking you through the caves. The next stop heading north is Byblos. 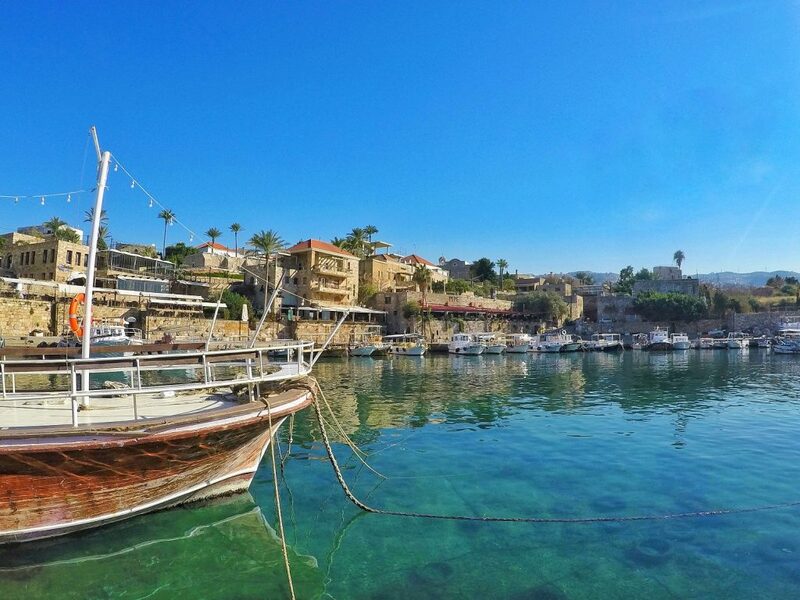 Also known as Jbeil, Byblos is one of the oldest known cities in the world. It’s nice to visit the ruins and walk around the quaint old town to the old port. Continuing up to Tripoli, there are some good stops at the Great Phoenician Trench at Anfah, the Msaylha Castle, the Chekka cliffs and the Phoenician Wall at Batroun. Tripoli is Lebanon’s second largest city. There is a great historical area in Old Mina which can be combined with a walk to the corniche. The Citadel in Tripoli has lots of history, with traditional souks nearby. On the way back to Beirut, catch the sunset from the top of Our Lady of Lebanon in Harissa. Cost: Entry to the Byblos ruins is 8K per person. Entry to the Jeita Grotto is 18K per person. 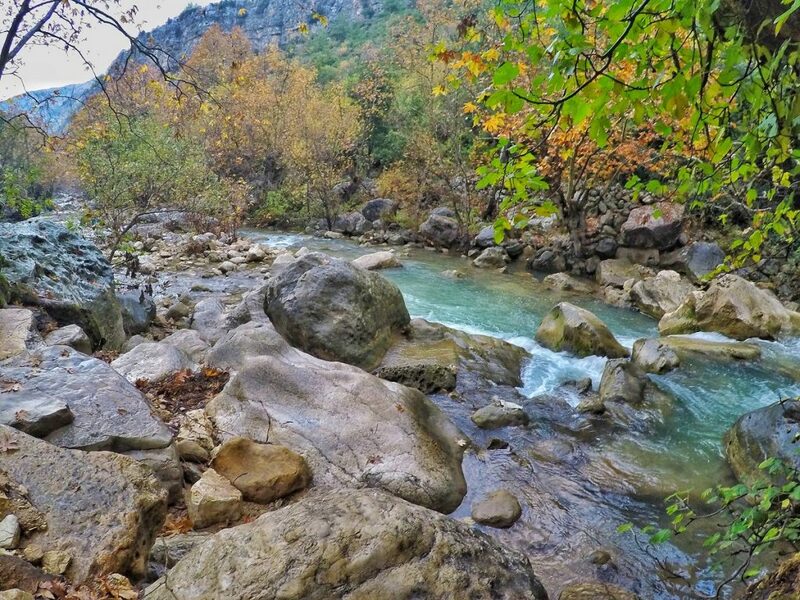 Central Lebanon is not as explored by tourists, but one of our personal favorite areas. There are beautiful mountains and stunning monasteries throughout the central region that look like they have been plucked from Switzerland or Austria. Kadisha Valley was our favorite part of the countryside. This is also where The Cedars are located, one of the few remaining cedar groves in Lebanon. 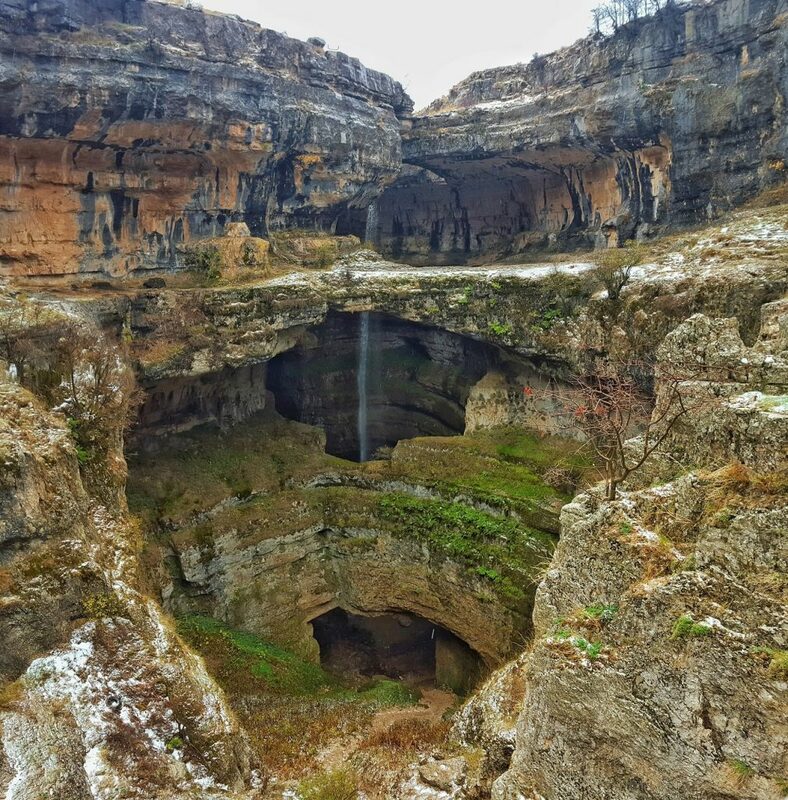 The Baatara Falls in Tannourine is incredible and unlike any waterfall we have ever seen! The drive to Monastere de Mar Lichaa, a tiny mountainside monastery, is definitely worth a trip. 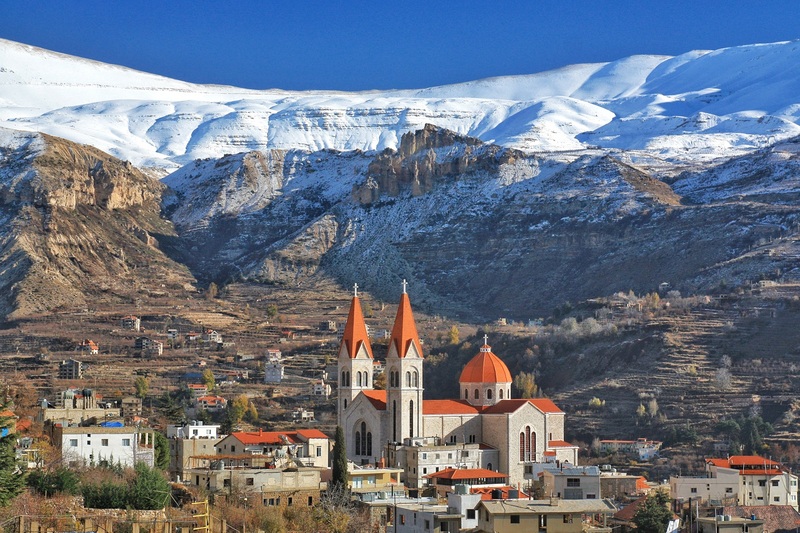 Some of the best day trips are to East Lebanon with stops in the Bekaa Valley and Baalbek. 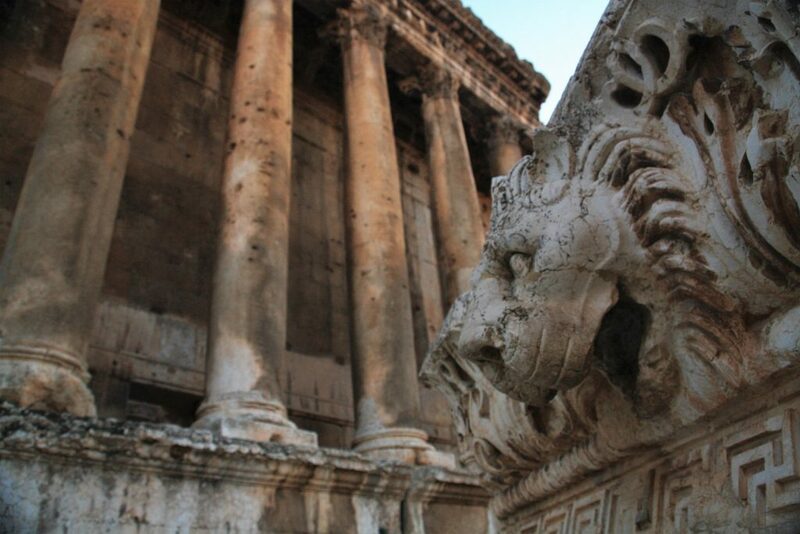 Baalbek is home to some of the best Roman ruins anywhere in the world. It also is one of the largest temple complexes in the world. These ruins are gorgeous and very well-preserved. The Bekaa Valley is home to the Lebanese wine industry. Stop by our favorites, Chateau Ksara (open from 9 – 5 daily) and Chateau Khoury (open 11-7 Tues-Sat, call for apt with the winemaker himself). Obviously, don’t head too far east (Syrian border) and make sure to check the status of the Baalbek area. There has been a spillover of terrorism in the past. Is safety of concern when visiting Lebanon? Sure. Maybe it is not for everyone, but Lebanon is a beautiful country with amazing places to see, wonderful culture, great food, and some of the best nightlife in the Mediterranean. We loved every bit of Lebanon and think it is an excellent place to come on vacation. Because of the high cost of accommodation as well as transportation, it is not the best backpacking destination. For a Mediterranean vibe, it is better to backpack in Italy or Greece. For a Middle Eastern vibe, we recommend visiting Jordan or Oman, two safe countries that have beautiful places to see.